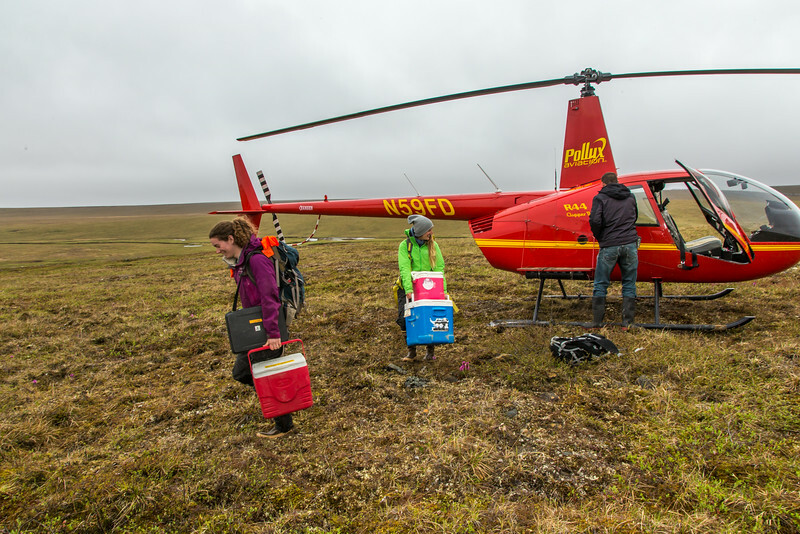 Ph.D candidate Ludda Ludwig, left, and graduate student Kelsey Blake from the University of Victoria in British Columbia, unload a helicopter after a short flight from the Toolik Field Station to their research site near the headwaters of the Kuparuk River. Ludwig's study is focused on the movement of water and nutrients from Arctic hillslopes to streams. The Toolik research facility, located about 370 miles north of Fairbanks on Alaska's North Slope, is operated by UAF's Institute of Arctic Biology.